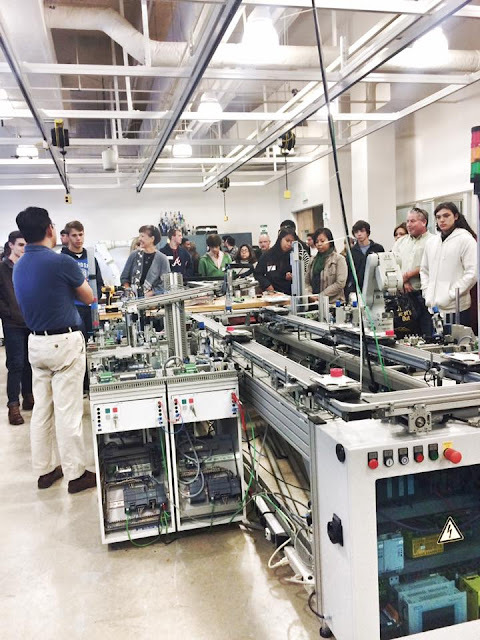 I had the opportunity to attend Kennesaw State Owl Preview Day at their Marietta campus and I wanted to share my thoughts about the institution from a parent's perspective. 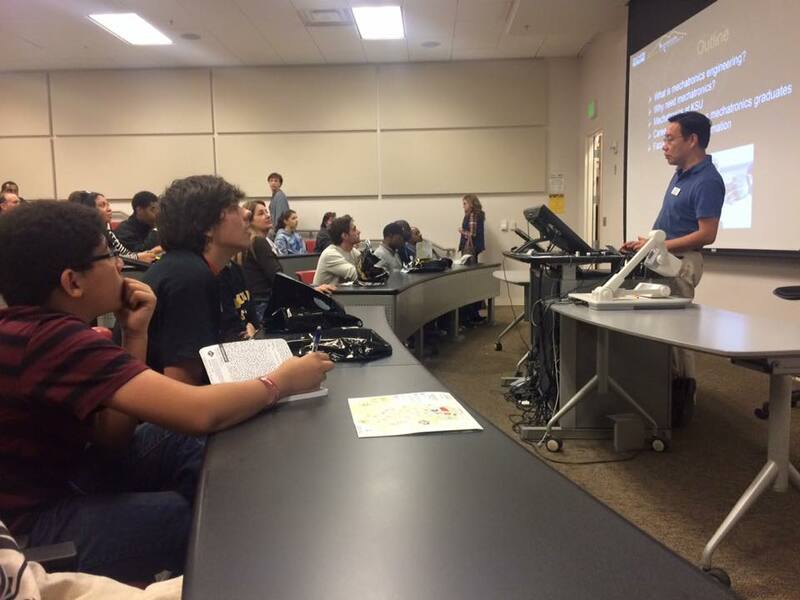 Owl Nation Preview Day 2015, included an academic department information session, a browsing session with student service departments and an inside look at life in the Owl Nation through the eyes of current KSU students. We also had the opportunity to tour the campus and university housing before the event concluded with a complimentary lunch in their dining facility, Stingers. 1. Kennesaw State University - Marietta Campus (Formerly known as Southern Polytechnic University) is where the engineering, science technology and architecture department are located. The Marietta campus by itself (I have not seen the main campus) feels dated and stuck in the 90's. This campus is small, there's nothing pretty to look at, and it screams please remodel me! Like yesterday.... I mean, they have the only accredited architecture program in the state, blows my mind you don't see this reflected on the campus architecture or landscape. You can do so much better Owls! Time to spruce up the campus!! 2. The campus does not have ROTC (for us this is a must) and it has no marching band BUT the main campus is forming a new marching band this year, so my guess is that if you are in the Marietta campus you will be able to audition for a spot. 3. Dorms: pretty much standards dorm rooms. They require all incoming freshman to stay in the dorms for the first year. Students in Honors college stay in a different wing. The dorms are co-ed. 1. Tuition is low, like super low and if you are pursuing an engineering degree this is a BIG plus. 2. 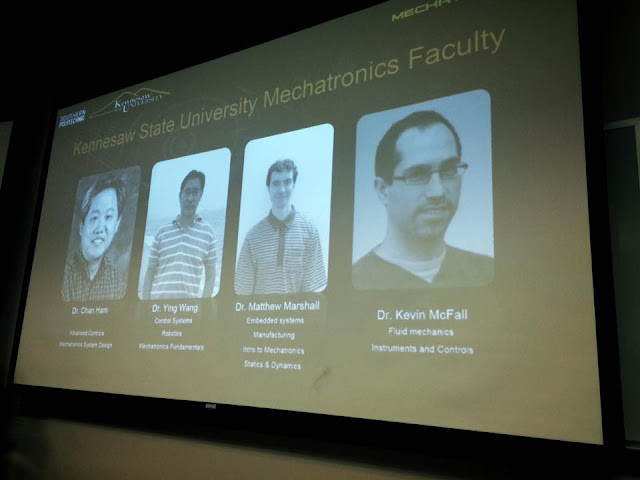 Kennesaw State University is the ONLY university in the state of Georgia offering a KILLER degree in “Mechatronics Engineering”. 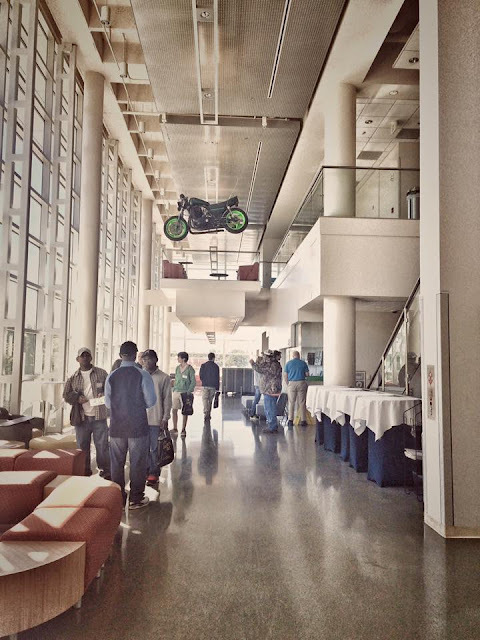 In addition they are one of the only two accredited mechatronics engineering programs in the nation. In engineering, accreditation is EVERYTHING! 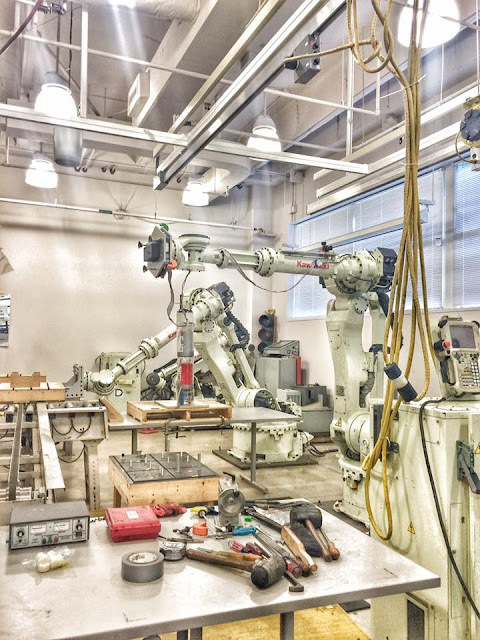 Now what is Mechatronics? Is basically 3 fields of engineering in one: mechanical, electrical and computer engineering. This is basically a degree to build the ultimate engineer. In 2016 they will start a master degree and eventually will offer a doctorate in this field. My son was blown away by this. He says this is what he wants to study. The medium starting salary for this type of engineer is around 99K! 3. 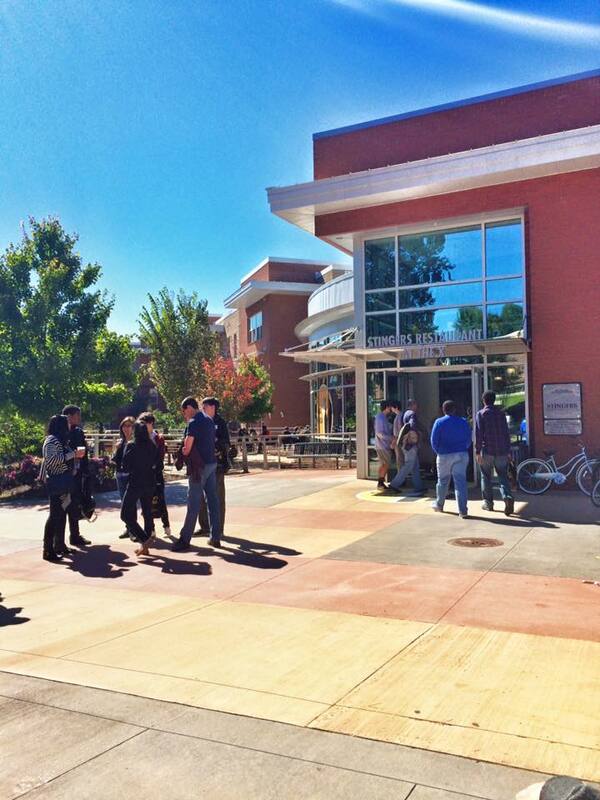 Dining Hall: Okay, the campus is meh, but holy cow the dining hall is ahhhmazing! In fact, they have the 4th best dining hall in the nation. They say when you study at this campus you gain 10-15 pounds the first year because of all the yummy food. I mean, I had Parmesan risotto and lamb for lunch. 4. Faculty-student ratio is really low and some people prefer this type of setting rather than huge auditorium classes. At Kennesaw you are able to develop a more intimate relationship with your peers and professors, a definitely plus. 5. They don't allow graduate students to teach. You will be taking classes with someone who has a doctorate degree in the field. I have two kids that are both interested in engineering. 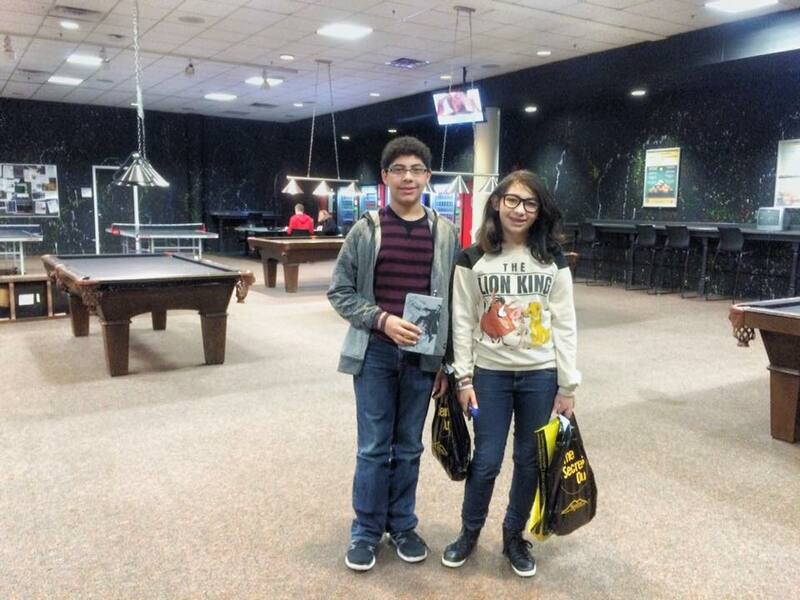 The youngest can see himself at Kennesaw studying Mechatronics and getting fat in that marvelous dining hall, while the oldest cannot ever imagine herself studying here. Finding a university that fits the needs of your child is not an easy task. This is why we like going to preview days or schedule tours. To be honest, the first 30 minutes I was like, no, no, no, I'm not feeling it, but as soon as I heard the mechatronics presentation I was like BINGO! Not even Georgia Tech is offering this degree! This place is starting to grow on me! The new Kennesaw State University will be one of the 50 largest public universities in the country. 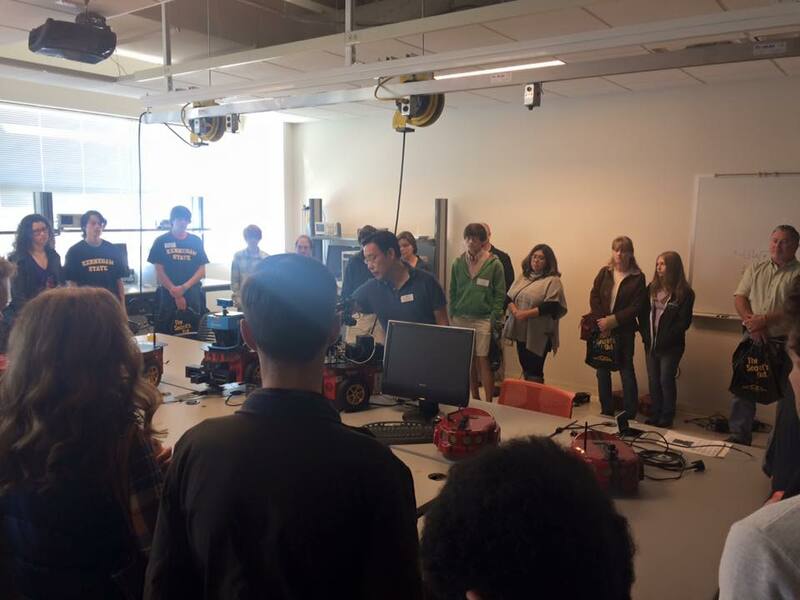 In fall 2014, Kennesaw State University enrolled approximately 25,500 students, and Southern Polytechnic enrolled an estimated 6,500. Combined, the new university will total approximately 32,000 students and will have an alumni base of nearly 100,000. The new Kennesaw State will employ over 2,800 full-time faculty and staff, and will boast an economic impact of more than $1.2 billion. Students will be able to choose from eight residential facilities, which will house approximately 5,200 on-campus residents. There are nearly 3,500 beds at the Kennesaw Campus, with another 1,700 at the Marietta Campus. In fall 2015, Kennesaw State University will offer 18 men’s and women’s NCAA Division I sports teams, including football, which will kick off on September 3, 2015.